Selecting the right device can be overwhelming at the best of times. 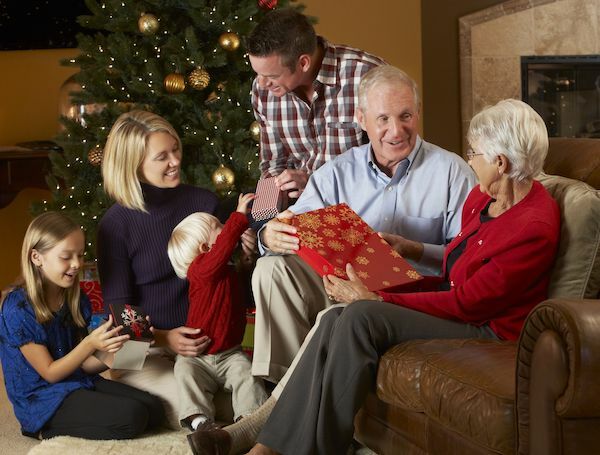 As we head into Christmas, many families may be thinking about buying something for mum, dad or the grandparents. Or you may be thinking of buying something for yourself. We’ve learnt quite a bit from our events about what to consider when selecting the right technology. A number of people have come to our events with a device that was sold to them or given as a gift but it doesn’t suit their needs or they may not have any support to get started. Read our post about supporting parents to use technology. Here are some key questions to consider when choosing a smart device. Start with what the person enjoys and how the device will be used? This is essential and by taking the time to gather this information you will be much better placed to come up with options. Consider if it will be used for games, taking photos, travel, reading, health, staying in touch with family or something else. For example, more storage on the device may be required if you want lots of movies downloaded to watch while travelling and not connected to the internet. How suitable is the experience and functionality of the device? We believe user experience is the most important element to consider. Look carefully at the accessibility functions that will make the device much easier to use. This also applies to home assistant devices like an Apple HomePod, Amazon Echo or Google Home. The small things will make a huge difference for your older loved ones to actually use them. What should you consider with the overall budget? You can now get devices that meet all budgets. However, it is crucial to consider the initial device cost along with ongoing costs, quality, security, functionality and support. Where will it be used? If the device is to be carried around or to travel with, think about things like weight, size and battery life. A phone is very likely to be carried around so make sure it can easily be used for the essential things like making and receiving phone calls. What existing technology and plans are already in place? Too often we see people come in with a SIM enabled iPad with an additional data plan, but they already have WiFi at home and a mobile phone that has a good data plan. The additional data is overkill and a waste of money if you are only using the device at home. What are the return policies and warranties? Ask about the return policy. Remember, If your advice has been incorrect you should be able to return it. Also check about the product warranty. What support is needed? Think about what support is needed both to set up the device initially as well as the ongoing support. If the individual is fairly new to smart devices, the support in the first couple of weeks and months will be essential in building confidence. What do the key family members and friends use? There is good functionality that can be taken advantage of when using the same devices within a family group. For example FaceTime can be used between all Apple devices. Having the same platforms within a family unit also helps when it comes to supporting an individual as others are more familiar with it. Do you feel confident with the language a retailer may use? If you aren’t confident, please go in with a trusted advocate, family member or friend who understands the language and technology. It is very easy to get sold something because it is on sale, the latest thing or they believe you ‘need’ it without considering your personal circumstances. We hope this helps and we hope you get the device you wished for from Santa. Disclosure: YourLink is an Apple Authorised Reseller.